The deadline for TEDxIIT 2017 speaker nomination was on Sunday, Feb 26 at 11:59 pm. With almost 60 nominations, the next big step is to select the speakers from each of the category: Alumni, Students, Faculty and Greater Community. Given the short timespan this year, we are glad to have a very impressive list of ideas. Now the challenging task is to select only a handful of Exclamation ideas worth spreading for TEDxIIT 2017. As we are in the greatest democracy of the world, our process is the exact reflection of it. The speaker selection process will be held at IIT Tower Auditorium on March 2 starting at 5 pm. This is an open meeting for all who wish to attend. Every nominator has the option to pitch for the nominee. Each pitch can be up to 2 minutes to focus on the idea and the speaker. 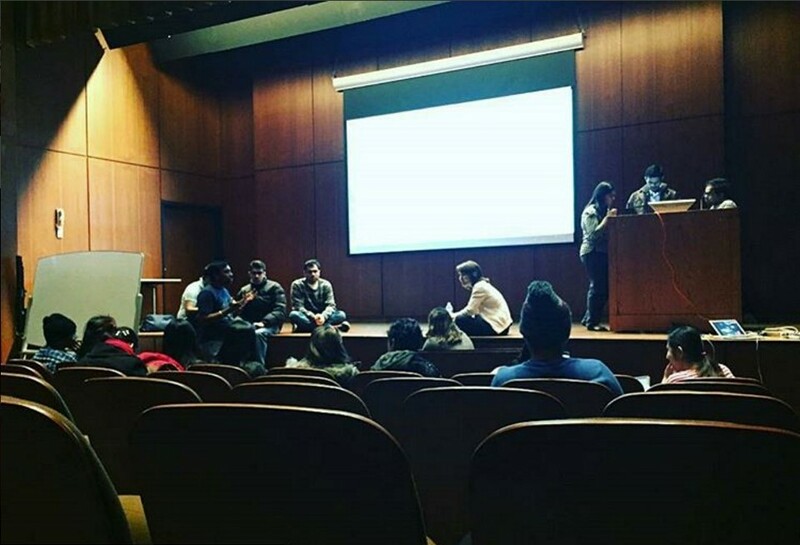 After the pitch, the team will present the ideas which have no presenters. There will be discussion and deliberation. Then, the planning team will rank these ideas in order to select the best Exclamation ideas worth spreading. The nominee with the idea which receives the highest score in each category will be the first contacted for the confirmation process in the next few days. Next, the second highest score in each category will be contacted and so forth until the speaking slots are filled. Just Twenty-six letters of the alphabet, combine in different ways to form words. Words that can change lives, words that can instigate an entire mankind to revolutions for several times, or just the words that you are reading right now. Just like the seven notes of music come together and make up all of music. An entire art form of music, in all its glory and beauty, can be traced back to in seven sounds. Just two digits, zero and one, govern the entirety of computer science. The same is with the Ideas. But have you ever thought of the first time all of this has happened? Those moments when mankind came to conclusions on these things were the eureka moments. Exclamation!!! Now if you are wondering what is the point of all this? It requires just a little tweaking with small, meaningless, seemingly unrelated things to make something brilliant. Several particles of dust, arranged in a way, came together to create the living, breathing, thinking powerhouse of a being that is now peering into a screen, reading this article. And that is all it takes! A little change, a small adjustment, a slight variation can create something new, something beautiful. First time someone rubbed the sticks and invented fire, was the first WOW moment for mankind – the very first step towards the civilized society in which we are today. What if humans stopped there? We did not, we kept making moments into exclamatory moments when invention of the wheel occurred, when first printing press made its space in the world, when the very first steam engine roared, when Thomas Alva Edison invented electric bulb, when Graham Bell made the first telephone call, when internet and the personal computer came up, when Neil Armstrong put his first step on the moon behalf of the whole mankind. From the moment, someone smashed a rock on the ground to make the first sharp-edged tool, to the debut of the wheel to the development of Mars rovers and the Internet, several key advancements stand out as particularly revolutionary. All these are the Exclamation moments for the human race and it is not going to stop here, the dynamic motion of the Ideas and Invention is, and will be there. What one needs is to share the ideas worth spreading. Do you know what? If one wants to draw the Exclamation mark(! ), all they need to do is pull the pen off the paper and then put the dot to complete the mark. So, come on the TEDxIIT to pull up your Exclamation idea and put it in the TEDx world taking the step towards completing it.